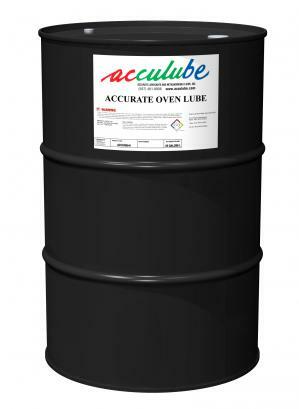 Accurate Oven Conveyor Lubricant deeply penetrates pins and links with a tenacious film of graphite that provides non-stick performance over a long service life. When the carrier evaporates, metal-to-metal friction is minimized and premature chain wear is prevented. This stable, multi-purpose product was engineered for use up to 392°F. Copyright© Accurate Lubricants and Metalworking Fluids, Inc.